When the dark times of the prof are over, there comes a time in KEMU when the nerds rejoice! Yes, it is the time before summer vacation, when the extra-curricular activities reach at an all-time dangerously high ! This post is meant to educate the freshmen at KE about how they can unleash their creative potential. Why should I join societies you say ? The thing is that life at KEMU is tough! Everyone needs a creative outlet to keep them sane ! You explore the fun side of Uni-Life. Moreover, each one of this society will groom you to a multitude of new experiences which will help you later on in life. How? Extra-curricular activities are an eye-catching part of your Resume/CV. Exposure to different kinds of activity will make you more confident and of course you will get to know your fellow kemcolians better and make new friends. Networking, You will get to work closely with both your seniors and juniors, and this is a great opportunity to socialize. Hope you all almost done with the prof mania (except the big boys of final year). I am continuing from where I left the part 1, in which I tried to tell you about research basics of Team formation and idea collection. C) The third step after you have a genuine idea is forming a closed questionnaire. A few of you were led to believe,perhaps by somewhat exaggerated title of my post,that I'm suggesting to completely do away with studies.No my friends! its not about shortcuts.Its about using a smarter set of strategies for success. The first question everyone in first year asks is : Where do i study from? and which books are sufficient? Well there is one thing u guys need to understand and that is : for every subject there is a hierarchy of books, with ones at the bottom being studied by everyone and the one at the top are studied only by the theetas who don't care if they look like a bald skeleton by the end of final year. So we will now be referring to them as the cheeta books , the beeta books and the theeta books. Which ones you choose for yourself is entirely upto you. As the legendary professor Akram retires a lot of changes are expected and necessary in the physiology department at KEMU. You guys are the LUCKY ONES because you don't need to spend loooooooonnnnnnnngggg hours in front of the HATED and LOATHED Grey book ......... you have all the time at you want to make your physiology as good as it gets cuz the most useful subject in the wards is gonna be physio ( anatomy is just gonna keep you preoccupied and bio chem will just irritate you like a dengue mosquito) .Guyton is your basic text book. Dear sophomores, rejoice. You are out of the terrain and terror of the pre clinical years. Welcome to the world of real doctors. Third year brings with it the joys of clinical rotations or Wards as they are commonly known. By now you must know which batch you are in. If you don’t have any friends over there, don’t hesitate for a minute and get it changed. Find someone who’ll go for a mutual migration with you and get it done as soon as possible. All you have to do is write an application, attach your CNIC and submit it to the students section in the Admin block. Then get your migration certificate (it usually takes a few days before you can get it) and submit it to your new ward so that your attendance may be marked over here. Also get your Ward card from the Records’ room in Patiala. You will need this at the end of each ward for your ward test and also for getting a transcript if you plan to go for electives. Do get the dissection CDs from the learning center (the glass room near DH) or KEMCAANA before the start of each new region. See it at the beginning of each region and also the specific parts before the substages.Do follow whats going on in the DH and try to do the dissection yourself or at least actively follow it. Final year looms quicker than any of us imagine,and five year are over in a gist,when you suddenly find yourself surrounded by Medicine,Surgery,Gynae/Obstetrics and Paediatrics. I will write a short review on the books I followed,the ones i dint,the ones that helped and the ones that did not at all. Why is this going to help you? This is going to be of help,because in all your years you had the heavenly presence of your seniors,whom you could go running back when and if needed,but landing in final year you find a void of that wise guidance,and you have to figure out things more yourself. DON'T try feeding on the recipe passed on from generations,not even this one,take it as a guide and then mix and match,and see which potion works magic for you. "I studied for so long, still couldn't score as high as I'd expected"
"I studied so thoroughly...now i open the book and I'm totally BLANK !" "She didn't study a word for heaven's sake! and still passed the test with flying colours !" "How the heck she performed so well in vivas with the same degree of preparation as I have !" "Gosh! how does she manage to have all the facts on her fingertips !" "Whoa! Hows she's able to 'discuss' when I'm barely able to 'recall' !" Does these questions bombard and bamboozle your mind often ? Do you wish to manage your time wisely and spare moments for social outings and extracurricular s? 1. the wholesomeness of getting into a medical college! 2. as a sheer act of rebellion coz ur parents forced u in...! lesson: now that you're here , there's no turning back! so accept life as it is and stop wasting time! you 'll harm no one but yourself this way ! 3. you find medicine really tough and boring..
lesson: med is boring without doubt... but now that it's gonna be what you eat , drink n breathe... it's ur job to make it fun ! group discussions , different websites cud be helpful! 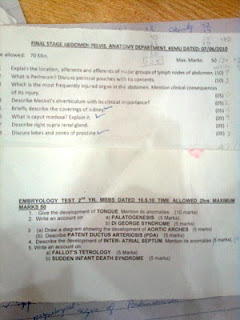 4. u fail a test or a substage , n u decide to give up ! A Key to Surgical Methods ! (This is only a revision key & not a substitute for the books.) Before starting any exam, always proceed to the following points: ·Introduction & Greetings ·Take consent ·Ask for privacy / female attendant in case of male examiners ·Positioning of the patient ·Proper exposure Don’t forget to thank the patient after completion of the exam. 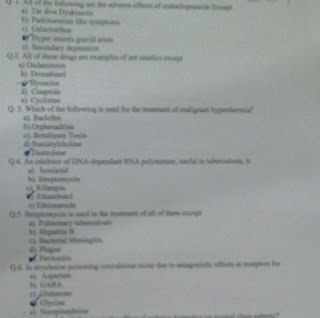 Again 3 subjects, not tough but retaining what you have studied is the problem over here, so the more no. 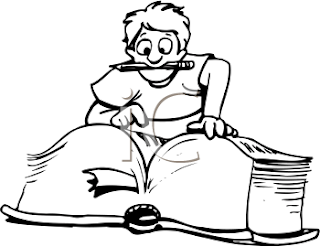 of times you will revise the better and easier it will be for you! COMING TO TERMS WITH THE REALITY ! hey!! first of all, to all the 1st yrs i'd like 2 say ....WELCOME to ke!! Congrats!! uv survived f.sc./ a levels!! get used 2 being called 'doc saab' :P... but with that gr8 power comes gr8 responsibility (forgive my spiderman reference :D).... now u hav 2 survive K.E. itself!! Search for radiological findings such as size, shape, symmetry, density, displacement, integrity, and lesions. Anterior falx cerebriSeptum pellucidumThird ventriclePinealPosterior falx cerebriFourth ventricle (not shown on the scan below)Midline shifts usually indicate raised intracranial pressure and significant risk for herniation. Less often, they are due to non-threatening atrophy on one side. They can be associated with intra-axial or extra-axial pathology. Different processes can shift more the anterior, middle, or posterior midline structures. 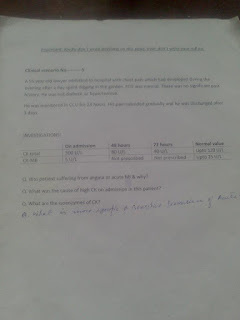 This topic remains untouched and un-taught in our medical institutes, although with our existing resources, we can't even imagine to compete with the rest of the world, however, hospitals like Shaukat Khanum do have the research requirements in them and they do help you out to join them for research electives. Yet, Kemcolians are ignorant of the word "Research", despite some stuff taught by community medicine department that, even in the remotest of chances, doesn't qualify as a true research valid for publication. However, Dr. Maaz has to be credited in a way that he is teaching the use of SPSS in a very understandable way once you are through all that process there. And if you didn't learn to use SPSS there, I can feel sorry for you guys. Please refer to the past papers for a general overview of the types of questions asked, topics covered, and the marks allocated to the topics asked. Identification of the CT scan anomalies was not part of the curricula when i graduated, yet very often you come across CT scan interpretation both at under-grad and post-grad levels. This technique is replacing conventional x-rays in most parts of the world, but what you also need to remember is that a CT scan usually puts about 500 times more radiation to the body as compared to an X-ray, yet there are specific indications for both, that you'll learn as you progress. There is no short book for CT scans, no one teaches you in college too, so thats how I learnt the basics of CT interpretation. This post is for head CT, abdominal and chest CT details will follow soon Inshallah. Community medicine viva this year was taken by Dr. saira...Its starts at 9:00 am... the batch is divided into two halves of 15... one of the halves goes for spotting and the other one for viva with external. Salam people, let me start in the name of Allah who’s the greatest benefactor of all mankind. Hope everyone is doing great. I'll try to write as much as I can for the people who are due to various reasons more interested in joining Australian Hospitals for post-grad training as compared to the USMLE pathway. I am a graduate of King Edward Medical University, class of 2004-2010. I did my 6 months house job after graduation in Mayo Hospital, and after that, i gave my AMC Part 1 in November, 2010 from Brisbane. With the grace of Allah, I passed that in first attempt. 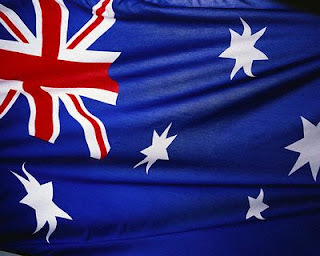 So lets start with the discussion here, but PLEASE NOTE THAT IT IS ENTIRELY MY PERSONAL EXPERIENCE AND REASONING WHY I PREFERRED AUSTRALIA OVER USA FOR RESIDENCY. Pharmacology Katzung Review of Pharmacology The best book for pharmacology. Concise yet complete. Kaplans Pharmacology This is what our seniors never told us but I found quite useful. Both the above books fail to give a quick review right before exam or in the viva. Here this book comes in handy. MUST WATCH the LECTURE DVDs with it. This book was a life-saver for me ! Goes especially well with Katzung review because both have same authors. Reference : "Big Katzung" This is lengthy but the smart-crowd still uses it. Not recommended for the average-Joe.